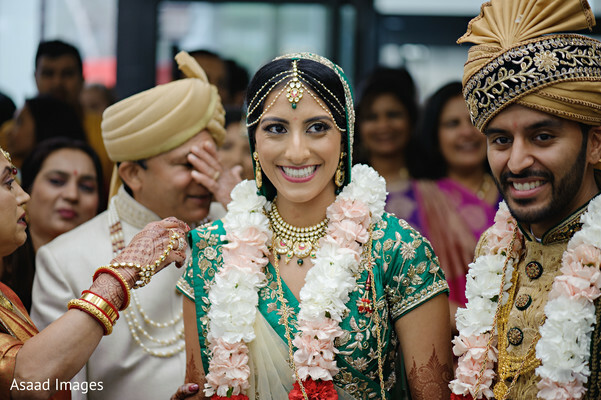 What's your Indian wedding fantasy? 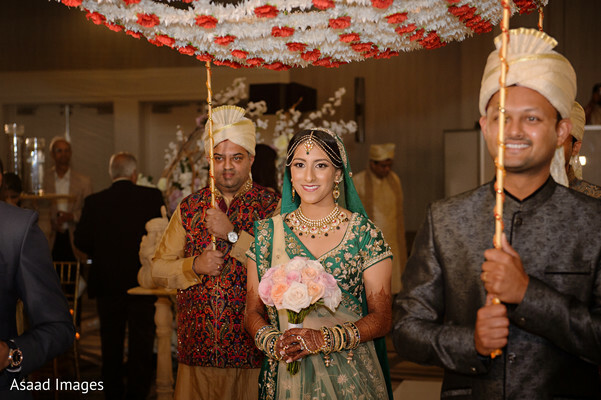 For Maharani Payal it was cultural ceremony intermixed with a regal reception at the elegant Hanover Marriott, planned and designed by Platinum Dream Events. 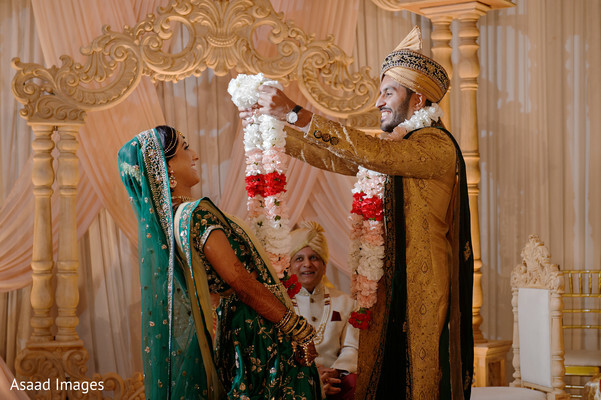 This prestigious Indian wedding feature by the incredibly talented Asaad Images paints a photo of a loving couple with an equally tender support system. 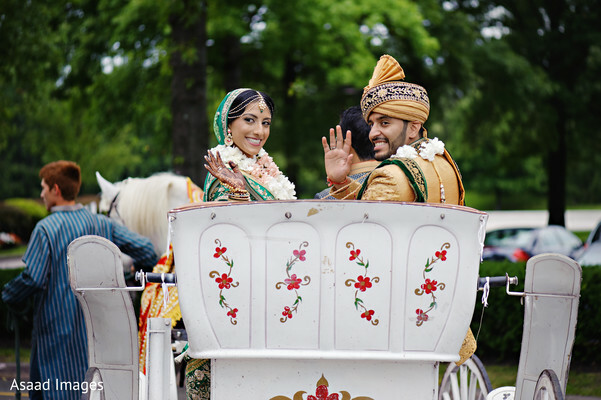 My absolutely favorite element of an Indian wedding is the baraat party. Us Maharanis like to get down! But, so do the Maharajas as evident in all these charming clips with the groom and his boys getting ready for the big moment! 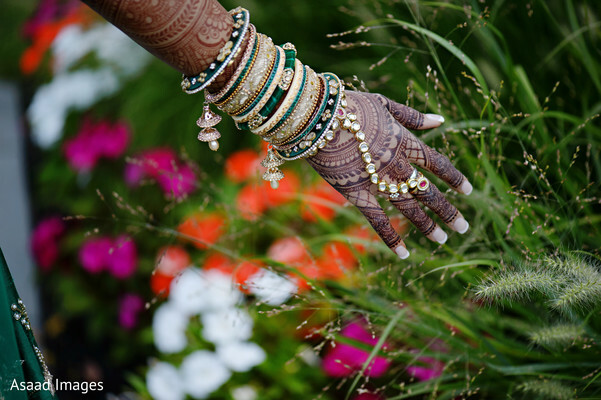 Flawless Beauty by Pauline hand designed a blushing Indian bride that has me green with envy. 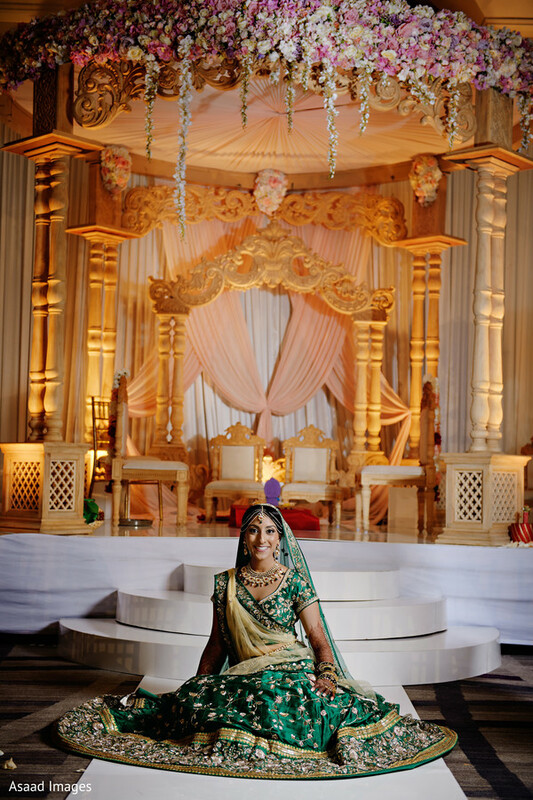 Wedding Design bathed the venue in an ethereal glow with regal pedestals and décor. Regal Palette Studio was there to capture all the love action. Trust me, babes, you are going to want to spend some time in our gallery. Hiten and I met online. We spent a few weeks chatting back and forth before we decided it was time to meet face-to-face. From the beginning, I could tell that Hiten was kind, respectful, and an overall fun-loving person. I had to postpone our date until the end of July of that year because I was finishing up some classes. Hiten thought I was flaking on him, but unbeknownst to him, I truly was planning to reach out at the end of the month. So, I did. We met up for dinner, which ended up lasting about 6 hours as we talked about life, family, friends, and everything in between. Hiten was my first and only online date, and I'm extremely lucky to have found my partner in him. I knew he was "the one" based on his thoughtful gestures, the way he treated my parents with sheer kindness, and how he so naturally put my needs above his own. Hiten proposed on 3/18/2017 in Philadelphia near the AMOR sculpture in Logan Square. At the time I was a part of Exodus Artistry, a dance company (hire them for all your dance needs), so Hiten had them plan a fake dance gig in Philly to get me there without suspicion. We started that Saturday with brunch at Bar BomBón, after which we headed to Logan Square. Hiten insisted on getting a photo in front of the iconic sculpture, so we made our way there. When we arrived, we asked a woman to take our photo, and this woman proceeded to take a photo of us not only on our phone camera but also on her professional camera. I started telling Hiten that we should ask her to delete the picture, etc, etc. Before I knew it, Hiten got down on one knee and started to propose! He explained why there's a woman taking our photo, why we're here, and how he wants to spend the rest of his life with me. I always thought I would cry during my proposal, but honestly, all I felt was pure happiness and I could not stop smiling. Within minutes, all of our closest friends and family from all over the country (& world) walked towards us with decorations and signs. Then, Hiten had organized for my girlfriends and Mom to bring outfits, makeup, and hair tools to get me ready before we went out for the rest of the night. The day was absolutely perfect. He is perfect. Since Hiten and I had discussed getting engaged, I had started the planning process quite early. I had several email drafts already saved to vendors that I knew would deliver perfection. I had known my makeup artist for 2 years (since she did my MOH's hair/makeup at her wedding), so that was easy. I actually picked my wedding date around her availability. We chose the venue that had those dates, fell within our budget, and looked like a place we could envision our wedding. The one question to ask yourself when choosing a vendor is "Are they flexible and easy to work with?". If you don't enjoy talking to them or feel comfortable with the vendor, don't waste your time. Outfits: We went to India for all of our outfits. It was quite the hassle dealing with vendors in India, but you do get a ton of options. At the end, we were happy. Decor Theme: This was probably one of the hardest parts for me. Even though I had an overflow of ideas from Instagram and Pinterest, it was difficult to choose just one theme and put it all together. 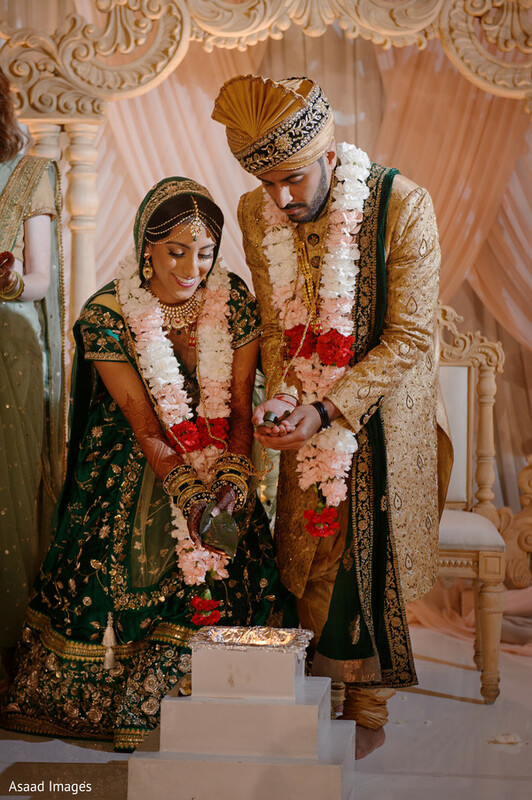 I knew that I wanted a colorful garba, modern yet traditional mandap style, and an elegant reception, so Hiten and I chose the decor that best fit that criteria. Wedding Planner: That was easy! Hiten knew Mayank from Platinum Dreams and we had heard great things about the team. And boy, did they deliver! Not only were we pleased, but our guests were boasting about the Platinum group for weeks. I worked with Suruchi Parakh from Surat, Gujarat to design my wedding dress. 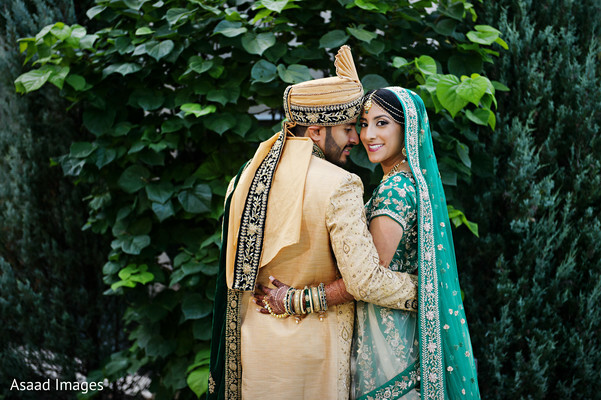 I always knew I wanted to have a green and gold lengha, so she helped bring my vision to life. We were fortunate to have little to no chatter from a crowd of 320 people, and our guests seemed to appreciate that. We also heard that the ceremony was timely and organized. Our DJ made the evening extremely enjoyable. Because we had limited speeches(for an Indian wedding), we maximized the amount of time our guests could spend on the dance floor. After the wedding, many of our guests said that they had never seen a wedding where everyone immediately joined the dance floor and had a good 4-5 hours of dancing, no interruptions. That was VERY important to us. The reception is a time enjoy and we are so happy to hear that our guests had fun. 5. Remember that it all does come together, so don't forget to reflect during the planning process and appreciate the end goal. We could discuss every single detail about our wedding for days on end, but I think our pictures do it justice. This was the most perfect day that came together because of our love for each other, support from friends/family, and immense planning. No matter how your wedding ends up, it is a dream come true. I wouldn't change anything about our wedding week, except maybe have a repeat button because I never wanted it to end! Fashionistas, you won't want to miss a beat! The reception party is headed your way!